Even though the manufacturer advertised that this telescope is to be mainly used for terrestrial observations, like bird spotting, to our surprise, we have discovered that you can also use it to observe celestial bodies. If you’re a bird watcher or a nature enthusiast, then you will be delighted to indulge in our Celestron C5 spotting telescope review. The Celestron C5 telescope is an outstanding piece of equipment, designed specifically for your most-beloved outdoor adventures. From the very start, we are inclined to declare that the Celestron C5 is not your average piece of equipment. Although the manufacturer states that the eyepiece can be used for both celestial and terrestrial observations, speaking from experience, we have determined that this scope is of better use when you want to spot animals or other types of natural landmarks. 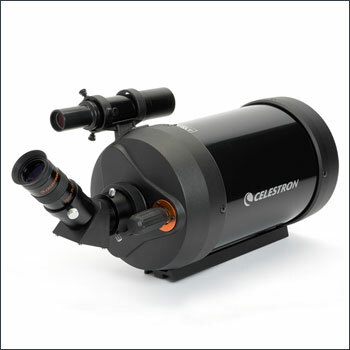 The Celestron C5 has a 5-inch Schmidt-Cassegrain optical tube design, being sealed by two hard plastic cells. With a 127mm aperture, the Celestron C5 has a light-gathering factor 4 and a half times greater than a regular 80mm telescope. Apart from its lightweight optical tube, the Celestron C5 has two high-quality mirrors that are treated with a special StarBright coating. This special treatment increases the light-gathering factor of the lenses and protects them against bad weather. Furthermore, the telescope also sports out a 25mm eyepiece, which has a magnification factor of 50x, which is more than enough to produce a bright, vivid and clear image. 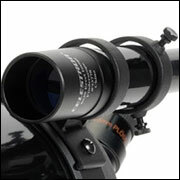 The eyepiece fits nicely inside a 90-degree star diagonal, specifically made to reduce optical defects. In order to help you keep tabs on your target, Celestron has outfitted this fine telescope with 6×30 erect Finderscope and a zoom knob. 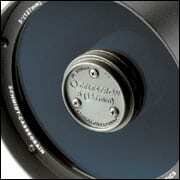 The whole ensemble rests upon a standard altazimuth mount, which can easily be controlled using the attached lever. Field-of-View: approximate 17 meters at 1000 meters. Despite the fact that the Celestron C5 telescope arrives with everything you need to start your outdoor adventure, you may want to buy a couple of helpful accessories. Most of them can be found in any astronomy shops, and their prices range from a mere $60 for an 8 to 24 mm Zoom eyepiece, all the way up to $72.90 for a heavy-duty altazimuth mount. Celestron T-Adapter for Schmidt-Cassegrains (Threads into Rear Cell). Upon purchasing your first Celestron C5 telescope, there are a couple of things you should make sure that are in the box. If one of these items, we are going to present, are missing from your package, then you should notify your shipping company at once. 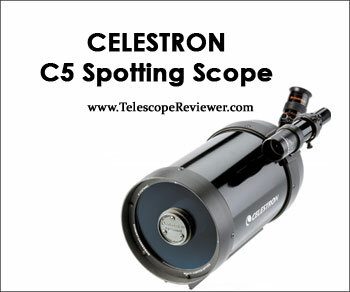 According to Amazon’s customer feedback section, the Celestron C5 Spotter has earned a 4.9-star rating, thus becoming one of the most popular item among nature enthusiasts and astronomers. When asked if they are willing to recommend this product to a family member or a friend, all of the customers who have left a feedback declared that they would. As far as we can tell, there are no negative comments regarding this product. 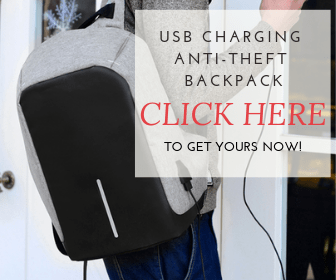 Now, as far as positive comments are concerned, all of the customers have agreed that this product has a decent price per quality ratio and that it is the perfect item to take with you on your outdoor trips. As always, the best place from where you can purchase this outstanding piece of equipment is Amazon. 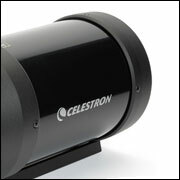 Presently, the Celestron C5 price has been estimated at $458.10. Furthermore, if you hurry up and purchase this telescope from Amazon, the company will deliver it to your front door, without any shipping fees. highpointscientific.com – for $499.95 (free shipping and free lifetime tech support). Image not that clear when used for celestial observations. In order to conclude our Celestron C5 Spotting Telescope review, we are inclined to tell you about our impressions. First of all, even though the manufacturer advertised that this telescope is to be mainly used for terrestrial observations, like bird spotting, to our surprise, we have discovered that you can also use it to observe celestial bodies. Granted that the image is not as clear as you will get with a Dobsonian or with a Newtonian telescope, we were still able to observe some of the Moon’s larger craters. Moreover, we were also able to make off Saturn’s rings, and some of Jupiter’s moons. Another thing we’ve appreciated about this fine piece of equipment is that you can pack and unpack it in less than 15 minutes. Moreover, it took us the same time to calibrate the piece on the go, and the images seen through the 25mm Plossl eyepiece were colorful and vibrant. As for its prices, we can only say that it was worth every penny. And the added photography support, made us appreciate this piece even more. However, we did not like the fact that most of its vital pieces, like the cells at the end of the optical tube, and the knobs are all made from low-quality plastic. But, if you’re careful during setup, you won’t have any problems with your first Celestron C5 Spotter.